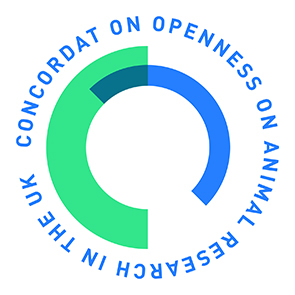 LABA has signed the Concordat on Openness on Animal Research to signal our support for the principles of openness and transparency. We continually encourage our members to consider how they can be more open about their work and take opportunities to engage with the public about the role of animals in science. Our policy on the use of animals in research aligns with our organisational aims to support the needs of medical and veterinary research by the ethical production and supply of high quality laboratory animals and this is endorsed by LABA members. LABA members do not all conduct research on animals, but agree that whilst the use of animals in science is still a necessity we should strive to improve conditions for the animals providing the best accommodation and care whilst they are in our charge. The use of animals in science is not taken lightly, and it is important that we continually revise our understanding and practice of the ways that we use, care and transport laboratory animals. LABA members work together to share good practices. LABA members recognise that not everybody is comfortable with the use of animals in scientific research, but if there is no alternative to the use of animals then we will strive to ensure that the principles of the 3Rs are implemented by our commitment to provide high quality, high health status animals to accredited establishments engaged in medical and veterinary research.